This EX Civic comes with back up camera sunroof, all power options. Black on black. 1 Owner clean Carfax. Fully serviced with a warranty. Great MPG and very reliable vehicle. Stop in for a test drive today.As always, great price right from the start! 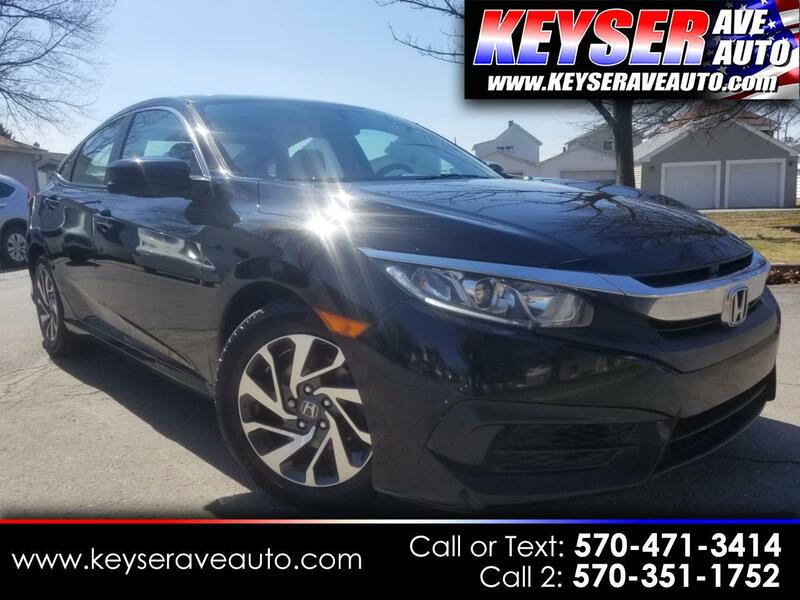 Visit Keyser Avenue Auto Sales online at www.keyseraveauto.com to see more pictures of this vehicle or call us at 570-471-3414 or 570-351-1752 today to schedule your test drive. *While every reasonable effort is made to ensure the accuracy of this data, we are not responsible for any errors or omissions contained on this page. Please verify all information with a dealership sales representative. All vehicles come with a warranty unless other wise noted, please see dealership sales representative for warranty details. Message: Thought you might be interested in this 2016 Honda Civic Sedan.